My experience in the Central Desert reflected and confirmed other experiences I have had with indigenous people: in Africa with the Kalahari Bushman, with the Andean indigenous People of Peru, and with Native American ceremonies in the US. While there are great differences between these indigenous traditions and while their ceremonies follow specific cultural protocols and practices, what participating in these ceremonies has taught me is how to connect to the healing power that is based in the natural environment around us, the sky above and the earth below. From an indigenous perspective the living energy universe includes every aspect of nature: animals, rocks, trees, rivers, oceans, mountains, rain and sun, stars and other celestial formations, everything that has come before us, and everything that lies ahead. Indigenous ceremonies, essentially, have a way of transcending time and space so that we feel we have entered timeless time and are connected to all of life. Ceremonies also tend to work with a particular healing energy that may be present at a particular sacred site or energy that is held and transmitted by a particular entity, such as gods or spirits that are culturally significant to a particular tradition. My experience is that the healing energy that pulsates through these ceremonies is essentially the same everywhere. 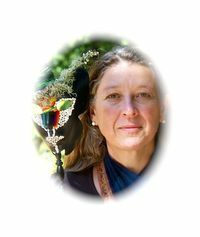 Culture-specific ceremonial practices and belief systems that have developed over millennia offer unique and important ways to enhance our connection to the natural environment and its living energy, and ways to access its restorative powers. Because of my experiences with these ceremonies I have come to understand how important it is to keep these culturally unique, highly refined and vital practices alive—however raw, undomesticated, full of feeling, other worldly, or down to earth they may seem. These ceremonies represent ancient and priceless knowledge about the workings of the living energy universe and what we can do to bring about balance between our needs as individuals, the needs of the collective, and the needs of larger ecological systems. This past June I traveled back to the US to participate in a several-day long summer solstice gathering in the Santa Cruz Mountains, near San Francisco. The ceremonies that are part of the yearly gatherings are based in ancient Native American and Mayan traditions, and aside from celebrating the cycles of the sun, our time together revolves around clarifying and sharing in ceremony the commitments we are making for the coming year. This year I committed to living Life as Ceremony! The phrase, Life as Ceremony, had been with me for many years and I first heard it from my friend and spirit sister Anne Dosher, who is a respected Elder in many circles. I have often wondered what would it take to live a life that is guided by the thoughts and images that this notion evokes? Over time I have developed a good feel for what it implies for me and for a great while I was not ready to overtly commit to putting into practice a life guided by this philosophy. However, during this past year, particularly in light of my intentions for moving here and the work I am pursuing, a much wider space opened up to pursue my passion for indigenous healing traditions and to listen more carefully and courageously to what life has been asking me to do. At critical moments the path of personal and spiritual development, as mine is in this phase of my life, unfolds a step at a time. While I have visions and a sense of might be, and certainly hopes and dreams, my path is certainly not straight forward, and is no super highway with clear vistas, but a fortuitous, sometimes hidden path through territory that often, now, at this stage in my life, seems familiar but is not. Discovery and transformative growths often requires stepping away from what we have worked to achieve or are simply accustomed to, recognizing and dissolving old patterns, and being present to what presents itself. Noticing correctly and sorting through the options that are coming my way requires consistent and conscientious attention and discernment. Shortly after the solstice ceremony I began a regular morning practice to help me along this learning and healing path. This practice is a combination of energy cleansing work, honoring the directions of the medicine wheel, affirming my goal to live in reciprocity of the larger cycles of giving and receiving, and a sitting meditation. Put together it is a small ceremony each day. I have been surprised how relatively easy it has been to simply stick to my new morning schedule. The practice is rewarding in ways I do not yet know how to put into words. To move into greater alignment with my commitment I have also become more courageous about sharing with others the direction I am taking. Now several events are occurring that are practical applications of my commitment. Next month, for instance, I have been asked to facilitate two conference sessions with others who are exploring related practices. One session is for a professional audience and focuses on cultivating the personal and the collective voice of wisdom and the other for an academic audience that explores how incorporating indigenous ways of knowing can bring about a more ecological and approach to Western scholarly activities. The timing and focus seems so right! Along the same lines early December I will also be hosting the traditional Aboriginal healer, Ngangkari Frank Ansel, from Alice Springs, to introduce a group of us to the cosmology and healing tradition of his people. I deeply believe that ceremonies are essentially a social process that can bring about healing for self and others. This healing is about remembering our connectedness with one another, the world around us, and the immense resources and life force that is available when we do. The heightened sense of awareness that is usually part of experiencing ceremony is an expression of this life force. As part of these ceremonies, our body may be cured, our emotions soothed, our thoughts set free and our souls filled with joy. Indigenous people, like the Aboriginal people of Australia, can teach much about the healing capacity of the land we live on and the sky above. Many indigenous people still have a connection to the vital life force that we in the western world struggle to maintain.